Many nurses often refer to the profession of nursing as a “calling”. 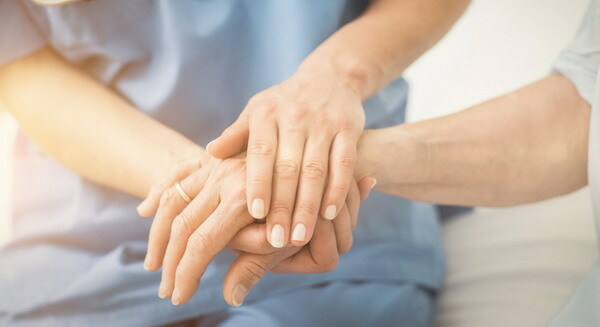 Being a nurse can become and intrinsic part of our personal identity, and reporting for work can end up meaning much more to us than just a paycheck. There are also nurses who approach their work like any other employed person, with no acknowledgment that there is anything more to be gained than a means to a financial end by fulfilling the tasks required of our position. There is no judgment of this approach to professional nursing, but this apparent dichotomy is worthy of our exploration. Way back on the November 12th, 2012 episode of RN.FM Radio, Dr. Victoria Rich, the Chief Nurse Executive of the Hospital of The University of Pennsylvania in Philadelphia, spoke with me and my cohost Kevin Ross about her passion for nursing and her illustrious and awe-inspiring career. Dr. Rich is passionately dedicated to the profession of nursing, and she is a truly innovative leader. You can listen to her interview with us by clicking here. We don’t come to work and we don’t have a job. We practice our profession of nursing. You’re a clinical nurse who practices a profession, instead of being a staff nurse who works on a shift. My “North Star” is not where I work. My “North Star” is my profession. In the bigger picture, this statement flips the idea of professional identity on its head, and some nurses who read this may disagree with her assertion. However, some who’ve pondered deeply why they’ve chosen to be nurses in the first place may feel a tug in their hearts when hearing Dr. Rich’s words. These words can speak volumes to the overarching identity and sense of purpose that we’ve internalized through the process of becoming, being, and embodying the essence of nursing. When examining this idea further, it’s of course easier on some level to consider just putting on our scrubs, reporting to work on time, and considering our nursing work as a task-oriented job that we do. Mind you, we may do it very well indeed–providing very good care for our patients along the way–but it’s still “just a job”. This doesn’t mean to imply that task-oriented nurses can’t provide excellent patient care — they can and do. However, there’s something more that Dr. Rich asks her nurses to reach for deep within themselves, and that appears to be a sense that one’s obligation lies not within your allegiance to your employer or facility, but actually within your sense of fealty and dedication to the profession of nursing itself and the ways in which you approach your responsibilities. Dr. Rich, in her wisdom and years of experience, believes that our final place of reckoning as nurses aligns with our identity as professionals, an identity that rises far beyond any employer. I believe that we are risk of losing our collective and individual soul when our nursing becomes a series of chores that we perform simply to earn a living. In this circumstance, we’re at risk of many things, including (bot not limited to) boredom, burnout, unhappiness, compassion fatigue, loss of interest, and the potential to deliver suboptimal care due to our disengagement from a deeper understanding of, and feeling for, why we became nurses in the first place. Yes, we can report for a shift, provide care, give report, and go home to our lives with nary a thought to what we’re doing or why we’re doing it. We can also choose to report to work with the sense that we’re clinicians performing a service inspired by our desire to practice our profession to its highest potential outcome. Our employer issues our paycheck and we strive to be good employees, fulfilling our duties and following institutional protocols. However, beneath that fulfillment of service to our employers — and our patients — lies our deeper obligation to personally embody the precepts of our profession. We have a choice each day, and there will be some days where our simply work feels like a task to be done so that we can return home to our families. However, we know that each day gives us yet another opportunity to rededicate ourselves to the reasons why we choose this profession again and again. We can see nursing as a calling, a vocation, a job, and as an identity. We choose our own “north Star”, and that guiding light largely dictates the way that we approach our work and how we view ourselves as nurses, healers, and professional clinicians. Nurses, what is your “North Star”? Maybe nurses would feel differently about our positions if we were paid a decent salary.